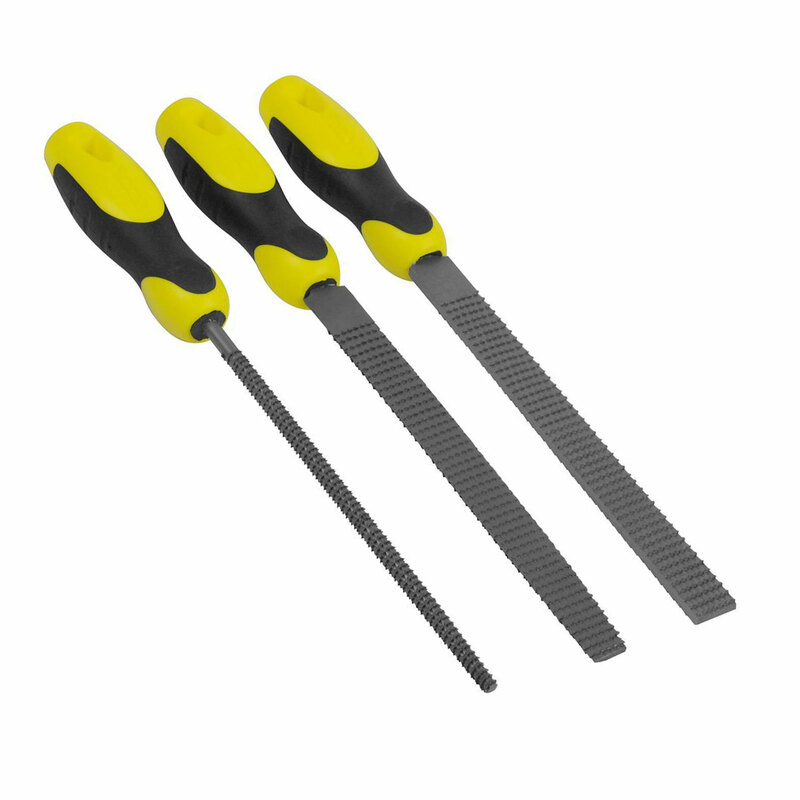 Stanley 0-22-477 | Stanley 3 Piece Rasp Set 200mm/8"
Stanley 3 Piece Rasp Set 200mm/8"
Stanley 0-22-477 3 Piece Rasp Set 200mm/8" made from high carbon steel for strength, durability & sharpness retention. Ergonomic, slip-resistant bi-material handle for comfort and grip with hang hole for convenient storage. Set contains: Flat, Half-Round & 3 Square file. suitable for general purpose, filing rounded corners, holes & curves.